One of the questions we often ask about forests is simply, “What’s out there?” What species are growing there? What does the forest look like visually? 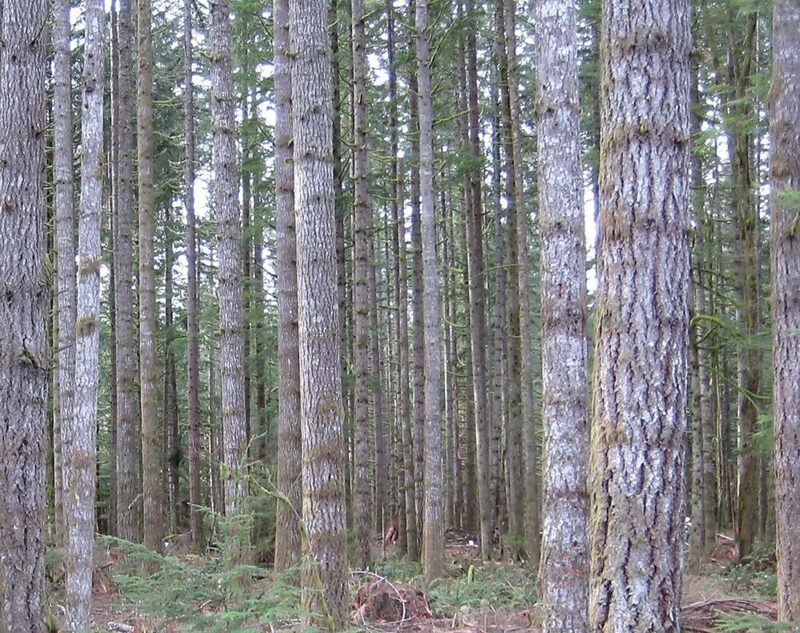 What is the proportion of small to large trees? Is there a tree canopy with a shrub layer underneath, or is the understory mainly herbaceous plants? Are snags or large fallen logs present? How dense is the forest? Do the trees have ample room to grow or are they crowded together? Forests display an array of species and structural arrangements (Figure 5.1). Figure 5.1. 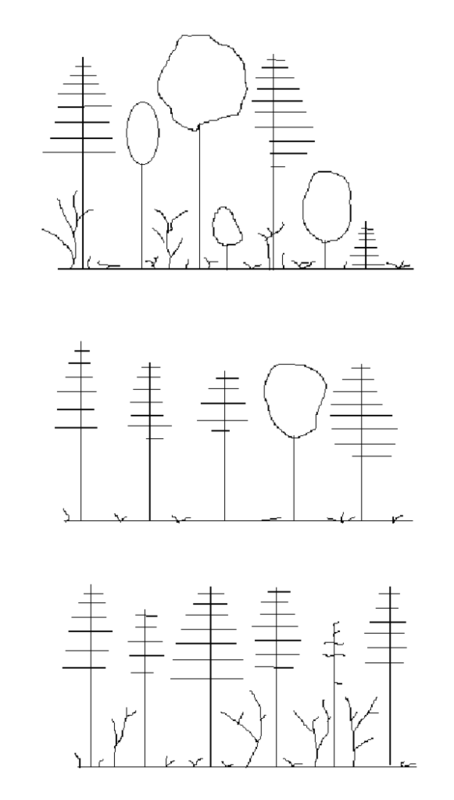 Examples of various forest stand structures. A common task of the forest technician is to provide data to answer these questions. A survey called a stand exam is just that – an examination of the composition and structure of the forest. 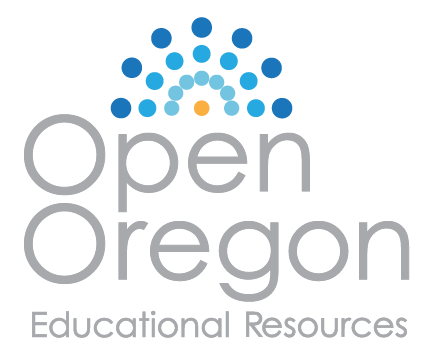 Once an assessment of the current conditions is completed, then questions about “What’s out there?” can be addressed more readily. Stand Structure refers to the overall “look” of a forest stand (Figure 5.1). It is the “horizontal and vertical distribution of components of a stand, including the height, diameter, crown layers and stems of trees, shrubs, herbaceous understory, snags and down woody debris” (Helms 1998). As one might imagine, the structure of a forest changes over time, as trees grow, as fungi rot the wood, as insects or fire move through, as light conditions change, and so on. Therefore, a stand exam is always a measure of a forest at a point in time – a snapshot, not a hard and fast truism. 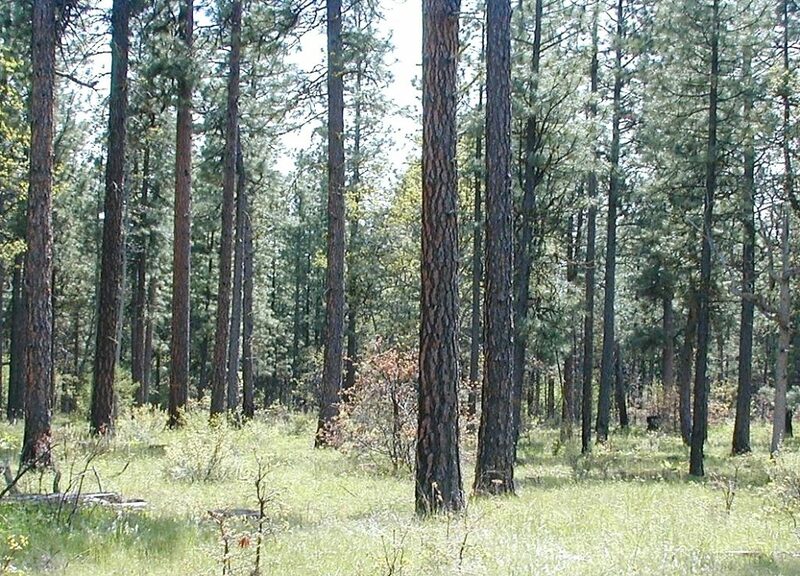 To successfully manage for wildlife habitat, wood quality, desired growth rates and a myriad of other forest management objectives, foresters often a) assess what is present, b) describe what is desired in the future, and then c) develop guidelines for managing toward that future forest structure. Let’s look at that stand structure definition again. “…horizontal and vertical distribution of components of a stand, including…..crown layers…” What terms can we use to adequately but briefly describe “distribution?” Horizontal distribution can be expressed in measures of density – trees per acre or basal area per acre (Figure 5.2). Vertical distribution is most commonly described in terms of layers. The crown is the foliar portion of the plant, and “crown layers” refers to distinct classes or stratification of the canopy. Since trees dominate the canopy of most forests, several forestry terms describe the vertical distribution, or layering of the tree crowns. Figure 5.2. Tree density illustrates the horizontal distribution of trees. 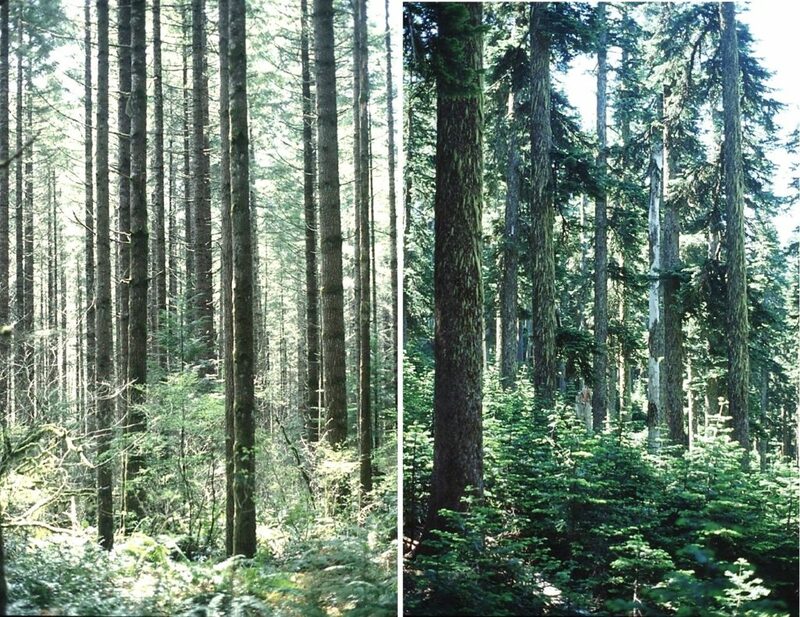 The top photo shows a dense forest with many trees (or stems) per acre. 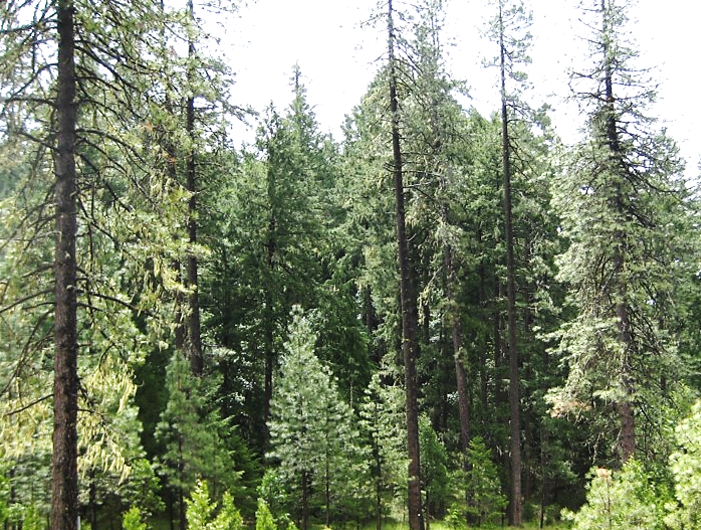 The lower photo is less dense, with fewer trees per acre. An evenaged forest is has one or two distinct age or size classes of trees; thus one or two layers of tree crowns (Figure 5.3). Figure 5.3. Two examples of evenaged forests: a single layered canopy with few understory trees (left) and a two-aged stand (right). An unevenaged forest has three or more distinct age or size classes, thus three or more layers of trees (Figure 5.4). Figure 5.4. A multilayered unevenaged stand, with three or more cohorts.